In Reality Denied, John Alexander details things that can't happen (Bigfoot, Poltergeists, UFO, Mediums, Near Death Experiences, Premonitions) but did/do, including an instance where his wife Victoria was possessed by an entity during a shamanic ceremony in Brazil. 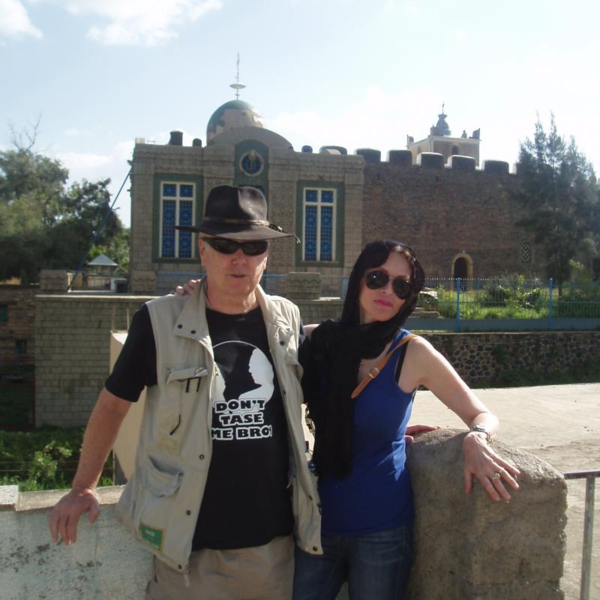 John and Victoria have traveled the world, meeting Shaman in different cultures. They are very familiar with the Ayahuasca Shaman in South America. Gringo Shaman Ron Wheelock is the one they recommend. To arrange a session/retreat with Ron, contact Victoria. She counsels how to prepare and what to expect. Eben Alexander and Karen Newell, May 20, 2018 - Living in a Mindful Universe. Science, Spirituality and Consciousness.